Egg Yolks | What makes them yellow? Egg Yolks - what makes them yellow? Did you know that if a chicken does not eat grass or other plants that the yolk of the egg it produces will be almost white? Recently we mentioned that the CEO of Egg Farmers Australia had made a statement that hens do not eat grass. Many of you responded with pics of your hens doing just that - grazing happily on pasture. WE all know that poultry do indeed eat grass and that it is an important part of their diet. It does seem however, that some in the industry are a little out of touch with the ancestry of their birds and have developed tunnel vision because modified egg production systems for intensively housed birds is all they know. 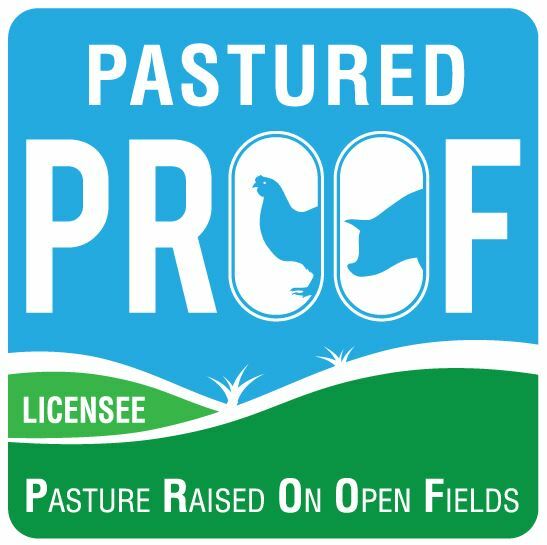 We could call on hundreds of pastured egg farmers to send in evidence of hens grazing grass, pastures and crops to counter Mr Dunn's claim but it is really not necessary. We will just apply reality and a little science instead. Xanthophylls are found in plants, including grasses, pasture species, cereals, corn, flowers and many more. Xanthopylls are what make egg yolks yellow. These pigments are also stored in the shanks and beaks of layer hens and can also be important in the skin colour of meat birds. Have you noticed how hens have such yellow legs at the start of lay? That is stored xanthopylls! The correct statement for industry to make would be that caged hens and barn raised birds do not eat grass. They can't, obviously. Even the hens kept as 'free range' at stocking rates of 10,000 per hectare would have a hard time finding any grass to eat. So, how do caged eggs get those brilliant orange/yellow yolks? The hens are unable to eat grass because of their indoor confinement so pigment needs to be added to their feed and guess what, many of these feed additives are plant based! Concentrate marigold leaves, paprika, capsicum and lucerne meal to name a few. Growing seasons sometimes mean that even pastured egg producers may need a little help with keeping their eggs sunny yellow to meet consumer expectations. Expect a variation in egg yolk colour when you buy pastured eggs because each hen may have a different preference for the grasses and plants she eats and this creates egg yolks of all different shades of yellow through to orange.